Michael “Mickey” Haller is a Los Angeles criminal defense lawyer who gives his clients the best defense they can afford…and he’d rather not know if they’re actually innocent of the crimes they’ve been accused of. He works out of the backseat of a Lincoln Town Car, chauffeured by a former client still working off his legal debts. Like his chauffeur, many of his clients are behind on payments or on payment programs that keep a steady but low stream of income flowing. So, when Fernando Valenzuela—a bail bondsman, not the pitcher—tells Haller about a possible “franchise,” Haller’s interest is piqued. 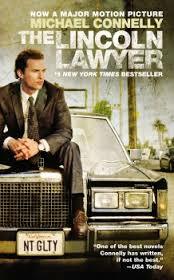 A franchise, in Haller’s world, is a client whose case goes to trial and results in large fees. In this case, the client is Louis Roulet, a wealthy Beverly Hills realtor who’s been accused of attempted murder. As Haller prepares Roulet’s defense, he comes face to face with actual innocence…and pure evil. To the very last pages, Michael Connelly keeps readers guessing whether Haller can clear his client and get the real criminal in the process. 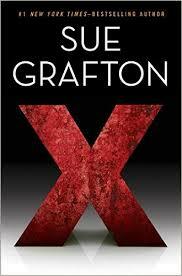 X is the twenty-fourth installment in Sue Grafton’s long-running Kinsey Millhone mysteries. Set in Santa Teresa, California—a lightly fictionalized Santa Barbara—the novel follows two story lines: Kinsey looking for a client’s long-lost son and trying to close out a late colleague’s still-open case. There’s also a contretemps with her annoying, elderly neighbors. I am a huge fan of this series, having read each of the novels in order, beginning with A Is for Alibi. Patrick Anderson has written, “Grafton’s Millhone books are among the five or six best series any American has ever written.” I agree. Kinsey is likeable, whip-smart, and plucky. You cheer for her as she sees justice through in each case. That said, X is the best novel of the series. (I wonder if it has to do with the difficulty of finding a suitable crime to include in the title. The other novels follow the A Is for Alibi title formula. Here, there’s no X Is for _____.) It opens with one story line but spends the bulk of the novel focused on the other story line. The lines never come together, and the annoying neighbors seem like a distraction too. The neighbors get what’s coming to them in the end, but of the two major storylines, only one reaches a satisfactory resolution. X may not be the best novel in the series, but it’s always good to hear from Kinsey. 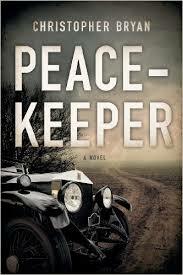 I’m already looking forward to Y.
Peacekeeper is a supernatural thriller, and like all such thrillers requires a willing suspension of disbelief. If golems, demons, apparitions, the music of the spheres, and an imminent apocalypse aren’t your cup of fictional tea, don’t read this book. You won’t like it. If, on the other hand, you’re a fan of C. S. Lewis’s The Great Divorce and That Hideous Strength, by all means, take a look. Peacekeeper draws inspiration from those books (and others) and tells an interesting tale about a diabolical plot to launch World War III and the people who try to stop it. It is the second volume of a trilogy that follows the police work of Detective Inspector Cecilia Cavaliere. 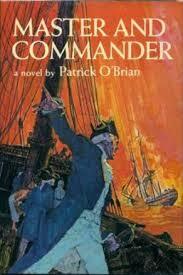 My general rule of thumb for evaluating popular fiction is simple: Was it written so well that I kept turning pages? By that rule, Peacekeeper mostly succeeded. Unfortunately, Chapter Nine introduced a supernatural element into this thriller at too early a point in the novel. Supernatural thrillers work by slowly uncovering the super in an otherwise natural setting. Given that the novel has eighty-one chapters, Chapter Nine’s “reveal” came way too soon. My family of three has at least nine devices that need to be charged via USB cables: two iPhones, two iPads, a Kindle Fire, two Bluetooth headphones, portable Bluetooth speaker, Mophie battery pack… You get the picture. That adds up to a lot of cords and a lot of chargers needing a lot of outlets. 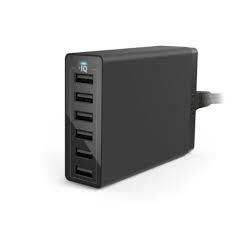 So, you can understand why I purchased this six-port charging USB charging hub: one device connected to one outlet charging six devices at the same time. The packaging was easy to open, the hub was easy to assemble (plug power cord into the back of the unit), and my devices charged up just fine. It’s small, so I’ll be taking this on family vacation too. In the spring of 1989, Lt. Col. Caroline Crawford of the Pentagon’s War Plans department is executed—military style—in the Georgia backwoods outside Fort Smith. Maj. Jack Reacher is called in to investigate and in the process uncovers a traitor and exonerates an innocent man. 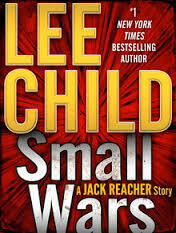 A quick and entertaining read, Small Wars will whet your appetite for Make Me, the Jack Reacher novel forthcoming in September. I have a iPhone 6 Plus. When I drive, I use my phone to make phone calls and to get directions from Google Maps. On long drives especially, I like to mount my iPhone on the dashboard so I can see where Google Maps is taking us. The problem is that a dashboard mount exposes the phones to the sun and excessive heat. 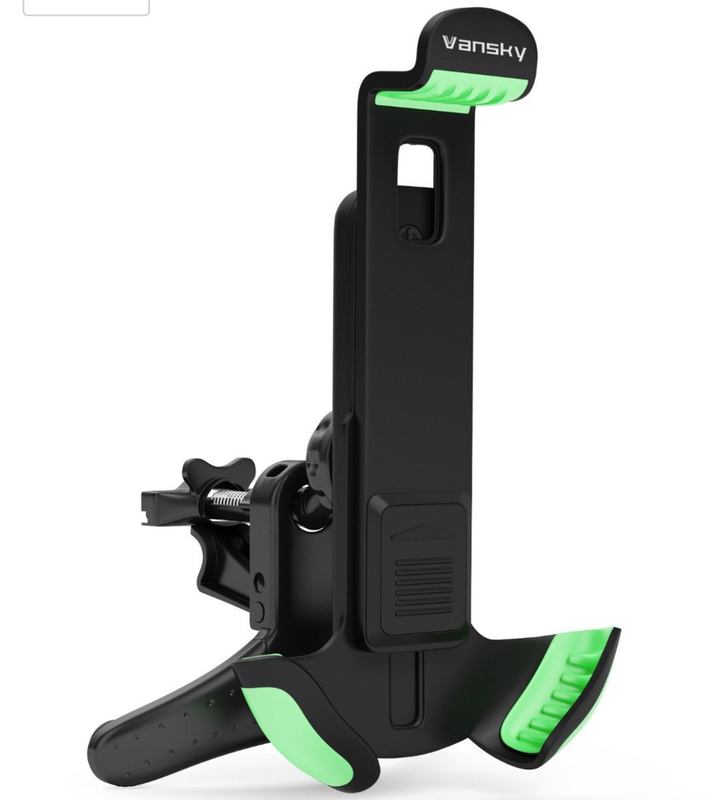 The Vansky car mount solves the heating problem by mounting the phone to the air conditioning vents. One arm hooks onto the vent and a second arm balances on the bottom of the vent. When I first opened the packaging and felt how light the car mount was, I worried that it wouldn’t be sturdy enough. When I saw how it mounted to the air vents, however, I realized that it was quite sturdy. The top arm can be rotated to fit either vertical or horizontal vents. The phone holder can also be rotated vertically or horizontally, depending on which screen view you want to see. This is an inexpensive and ingenious device that solves a crucial problem for me, namely, using my iPhone safely while I drive.